Have you ever caught the show "Locked up Abroad" while channel surfing? Once you get past the voyeuristic element of a bird's eye view of someone's misfortune, there's a certain "There but for the grace of God go I" emotion that it evokes. Now I don't mean that you might have tried to smuggle some cocaine with your surf board at one point - but it's easy to see how bad choices that were thought to be relatively innocent can lead to expensive (at least) and sometimes terrifying consequences. I spend lots of time talking with companies and soothing their concerns - telling them not to be scared of exporting and to embrace the opportunity of global sales growth. So this piece runs somewhat counter to my normal approach. However, companies that jump into exporting without a comprehensive understanding of the interrelated elements of a properly designed program leave themselves exposed to unknown risks. And export "consultants" that lack a high-level perspective to complement niche expertise often compound the problem. If you haven't registered your trademarks...it could be that a squatter (or disgruntled former agent/employee/distributor) has and now your entire shipment has been seized as counterfeit. Can that really happen you ask? It sure can. If your L/C is about to expire, now you have a finance problem as well. Of course you could have skipped the whole L/C issue (cost, intricacy and deadline) by having a foreign receivables credit insurance policy in place...but you didn't. If your local agent/distributor hasn't been carefully and routinely trained in the FCPA things might be about to get a whole lot worse for you. Trying to help, and pursuing the typical local remedy, they may well pay an expected bribe to customs to get your product released. They may mean well but you'd be the one (even if you didn't know about it much less condoned it) with personal criminal exposure. Maybe there's a problem with import licensing - did you have all the necessary permits and documentation? (And speaking of that do you routinely conduct denied party screening prior to shipping internationally?) You might have a compliance problem. The point is that you need to do it right - or you might end up pretty unhappy. That's precisely why I so strongly advocate for an international business development strategy which integrates multiple disciplines woven together into a global business methodology which avoids the complications of silo skills and "unknown unknowns." Integrated strategy will include finance, international marketing, risk management, logistics and channel considerations with legal and strategy elements throughout. So it's not just a simple "customs" problem, and it's quite possibly not even something your freight forward should have anticipated. Rather it's a reminder that if you are going to "go global" you should do so properly. 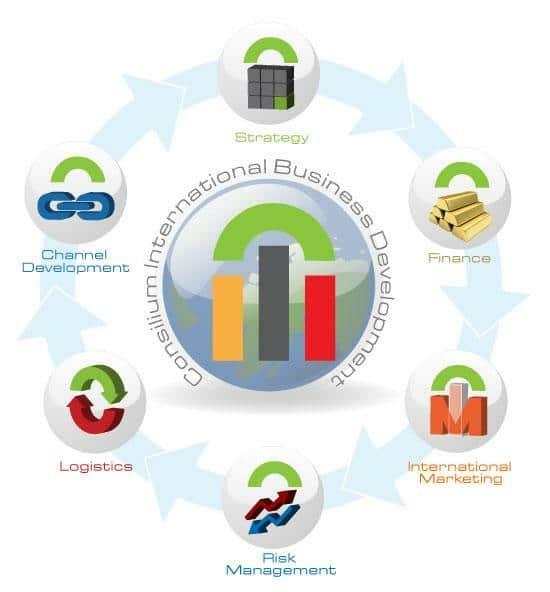 Contact Consilium to learn how we could help your company solidify its international business development strategy.